Well, here I am post half-marathon. I didn't break any records in the race but getting back to this level of fitness is a great achievement for me. Now a shorter run like a 5K is a pleasure rather than a chore. Although a rather enthusiastic run on Saturday has left me with a torn calf muscle and an enforced rest. Just to let you know all is well here even though I have taken an unplanned blogging break, as you may have noticed. Work has been all-consuming, but in a good way, as I'm enjoying covering a class due to a colleague's sickness. This is likely to continue until the end of this academic year but I don't mind as I'm enjoying the role of class teacher again. I'm teaching the best class I've ever taught, so I feel blessed. Many things have had to fall by the wayside - such as reading, blogging, photography, decluttering and compiling my Friday links. 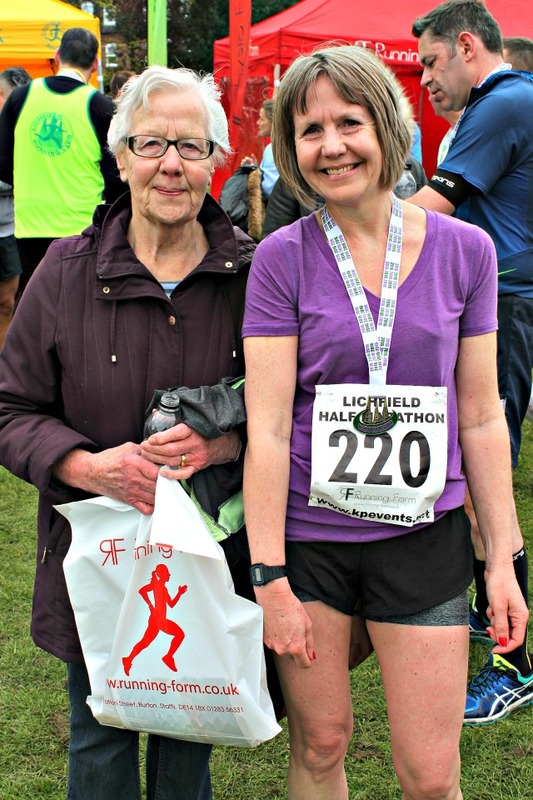 I have been focusing on staying well though and my running has certainly helped with this. I gave up alcohol for April and this also gave me lots more energy and zest for life. May is all about moderation. We've been cutting down on sugar and carbohydrate too as Tim was diagnosed with type 2 diabetes in February but has now got his blood glucose levels down to normal with a very careful diet and increased exercise. Michael Mosley's blood sugar diet book was instrumental in this - thank you to my friend who recommended it. While I've been very disciplined with my work and health I have relaxed on my spending and have made a few clothing purchases. My love of clothes has not waned but my spending habits are much more considered than they once were. My year of less spending has fizzled out too but a new change is that I'm no longer managing the food planning on my own and our spending is more consistent. Since January I've been in the process of resetting many areas of my life. Finding a new balance between work and relaxation, minimalism and materialism and contentment and drive. I have found new focus but some areas are still a muddle. So, here's an unexpected blog post. Probably not the one you expected to read or I expected to write. A new balance is emerging and hopefully some new blog posts will too. All in good time. Hope your torn muscle heals quickly. Hubby had one of those ...not nice. Look forward to your posts when you get the time. Admiring and celebrating your "balance"! What a fine place in which to be. Welcome back! Congratulations on your fabulous running. With regard to your hubby's type 2 diagnosis, I've also been on the BSD and am on week 10 now, loving the food and results. I'm still on medication for now but my BS levels have reduced greatly and I'm down by over 2st. It just goes to show that this horrid disease can catch anyone out. Here's hoping Tim keeps the effort up - it's a real struggle sometimes. Pleased to see you are well. Hello Claire! What a lovely photo, and nice news -- you look so fit and happy (I love your hair now, and your muscles, and your vim and vigour -- hurrah!) -- and how nice to see your mum (? - must be) in the picture, too. Well done with all -- life, work, family, love, balance. Thank you. A fantastic achievement! My husband and sister in law ran the Plymouth HM last month. I held the coats....I'm glad to read that all is well behind the scenes. I like the idea of balance; it's my mantra. So lovely to hear from you and see you looking so well and happy Claire and congratulations on running the marathon! Hope your torn calf muscle is healing and that Tim continues to manage the diabetes with help from you and Michael Moseley. Well done, and I have to say you look amazing in this photo taken AFTER a half marathon, I think I would be stood there a hot and sweaty mess gasping for breath. It sounds like life is nicely balanced at the moment and hey, if your challenges and plans end early it really doesn't matter. Claire, congratulations! Half Marathon finisher, yay. Reflection is a beautiful thing. Simplicity is fluid, I love that, we are all on a journey that takes many directions. I also find that sometimes, I need to stop and re position and then off I flow again. Great job. I look forward to seeing more posts again in the future, Claire. I've just come over the Dar's blog.